In May 2016, the Minister of Education, Youth and Information, Senator the Hon. Ruel Reid announced the removal of the payment of auxiliary fees to all secondary institutions. Since then, much debate has ensued about the implications of this removal. This Government believes that education must be compulsory between the ages of your third and eighteenth birthday. Already through the weight of legislation we have provided for free access to early childhood and primary education. Access to secondary education is not defined as a right in our Charter of Rights but the Education Regulations and Child Care and Protection Act do place an obligation on the state to provide access to educational opportunities. 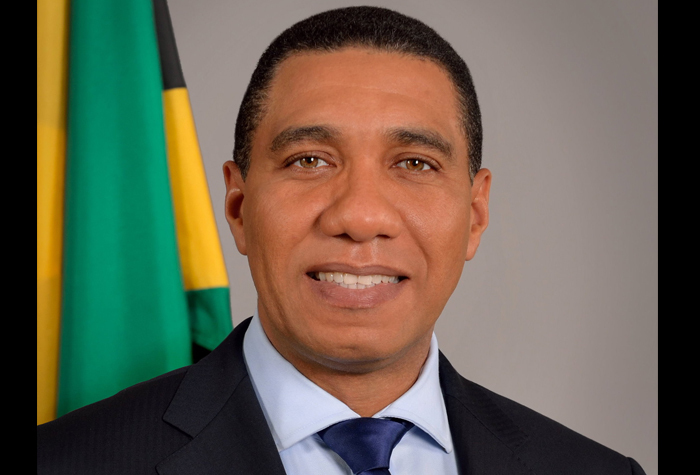 As a matter of policy and law therefore, Jamaican children are entitled to freely access public education up to age 18 and should be attached to an institution up to that age. If this then is the law, policy and social consensus, then no Jamaican child seeking to access publicly provided education should in any way be discriminated against, barred from or denied access to education. We are now therefore looking at making the right to secondary education explicit in law and I have directed the Minister of Education, Youth and Information to examine the existing legislation with a view to make it illegal for any child to be denied a “right” to secondary education. increased funding to the high schools from 2.6 billion to 5.3 billion dollars. This government is serious about not compromising education; it is one of our guiding principles; when we took office in 2007, we doubled the amount of funding and again, we are doubling what obtained when we came in earlier this year. Government and indeed life is about making choices and this government will always choose to prioritize education. When a child sits the Grade Six Achievement Test (GSAT) and is placed at the secondary level, this placement is based on performance; parents should not then be burdened with mandatory fees to send the child to the secondary place rightfully earned based on results. Secondary education is an entitlement and students must be attached to an institution up to age 18 and all institutions that use public resources fall under government policies. The basis of this policy of removing auxiliary fees is not to ask schools to function with fewer funds but for the Ministry to provide more support to schools by subvention, maintenance and capital works. Understandably, like when we did it in 2007; the removal of auxiliary fees has been met with opposition in some quarters. While the Government appreciates that the auxiliary fees assisted with the funding of schools; research revealed that there was only a 49% compliance rate across secondary institutions for the 2014/15 school year. The philosophy is that public education should be properly funded by government while encouraging stakeholders to make voluntary contributions; effectively schools will now have more money with greater certainty. Schools should not be forced to charge fees for services that the Ministry should be providing. Education is just too important to have any barriers to access. Parents are already funding aspects of students’ education in preparing them for school by providing lunch, books, bus fare and other items. I must emphasize that schools will be held accountable for the provision of core services; and I am instructing the Minister of Education to ensure that there is increased monitoring and surveillance of the system to ensure value for money. I am also highlighting the fact that all schools that are given public funds are subject to audit by the Auditor General and I will be asking for audits to be done at a sample of schools to guarantee that the appropriate and best use is being made of our limited public funds. With our increased investment in education, the bar has again been raised and we expect to see not only universal enrolment but increased performance as well. In keeping with these commitments, the first disbursement of monies has been deposited to all secondary schools’ accounts since the second week of June for the process of preparing for the upcoming academic year, a first in the history of Jamaica’s Education System. The Government concurs that we will never be able to provide funding for every activity in schools. The Government also acknowledges that not all schools offer the same level of service; the Government’s role is not to prevent schools to be limited by a threshold of funding and offerings but to ensure that certain minimum core standards are available to all as we seek to improve the entire educational system. The Government’s remit is to provide funding for the core comprehensive educational services being provided for the students to include; physical education, guidance and counseling, health and family life education, security and safety, plant maintenance, curriculum support materials, students’ nutrition services, support for uniformed groups and behaviour management. We encourage all to be cognizant that Government cannot reasonably be expected to fund ‘special programmes’, such as sporting activities, which can easily cost a school millions of dollars, but that neither can the Government allow any denial of access or discrimination when the Government has committed to covering the core of education. The disbursement of funds by the Ministry to all secondary institutions as of the upcoming school year represents an increase from the previous JMD$11,500 to a maximum of JMD$19,000 per student and therefore will provide additional support in some schools. The Government acknowledges that parents play a critical role in supporting schools and has implemented guidelines for non-mandatory parents’ school support contributions. Therefore parents are supporting co-curricular, sports and special school development initiatives. Parents can make full or partial contributions as they can afford. Whether traditional or non-traditional schools; contributions are optional and students cannot be denied access to attend school, services or classes. As the Government deepens its support for schools, an appeal is being made for all stakeholders to continue to partner with schools in ensuring that the quality of education continues to improve. In Jamaica, education always has and always should operate as a partnership; our Churches, Trusts, Alumni, the diaspora, corporate Jamaica and indeed all our citizens continue to support education. We cannot and absolutely will not under this government get to a stage in this country where universal access to education becomes threatened. The system has to be one where we welcome and value all possible contributions but the Government has to be committed to take on the lion’s share of the responsibility. The removal of auxiliary fees is therefore not a forced promise but a reiteration of this administration’s commitment to ensuring that every child can learn; every child must learn, through the provision of equitable access to core educational resources.